If you are looking for flights to Turks and Caicos - I'm jealous. A beautiful beach and turquoise blue water - who wouldn't be jealous? Turks and Caicos is located just south of the Bahamas so if you're flying from the east coast of the U.S. you can be there in no time. 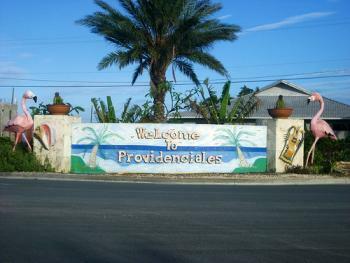 Providenciales flights are a short 1 hour and 40 minute flight from Miami and just about 3 1/2 hours from New York. Whether you are flying to Turks and Caicos to go scuba diving or not, you are sure to have a wonderful tropical vacation. The airport and airline information below should make your planning a bit easier. We also show you our favorite airfare search engine to make sure you get that cheap flight you are looking for. The main airport in the Turks and Caicos is the Providenciales International Airport. It is located close to Grace Bay Beach. Most hotels on Grace Bay can be reached in approximately 15 minutes from the airport. So off that plane and straight onto the beach. The airport code for the Provo airport is PLS. If you are coming from the United States, you will have the choice of several airlines that fly into Providenciales. Keep in mind that some of the schedules below are only offered during the high season (roughly mid-December through mid-April). During the low season you may not find a non-stop flight operating and will have to change planes. American Airlines offers daily nonstop flights from Miami (airport code MIA) and from New York (JFK) on Saturday and Sunday. It also has a direct Providenciales flight from Boston (BOS) on Saturdays. They also have a nonstop flights to Providenciales from Charlotte (CLT) on Tuesdays, Saturdays and Sundays. There is also a direct flight from Philadelphia (PHL) to Providenciales on Saturday. Jet Blue offers direct flights from New York (JFK) and Fort Lauderdale (FLL). United offers direct flights from Newark. Delta offers direct flights to Turks and Caicos from Atlanta (ATL) on Saturdays. They also offer nonstop service from New York. Spirit Airlines has nonstop flights to Providenciales from Fort Lauderdale (FLL) on Wednesday and Saturday. West Jet and Transat offer Providenciales flights from Montreal (YUL) on Friday. Air Canada has a nonstop flight from Toronto (YYZ) to the Turks and Caicos on Saturday. I wasn't able to locate any direct flights to Turks and Caicos from Europe. However, British Airways does offer a flight from London (LHR) to Providenciales with a stop in Nassau. This flight operates on Sundays. Don't worry though - you will not regret making the trip! Intercaribbean Airways has direct flights to Provo from Kingston, Jamaica on Monday, Tuesday and Saturday. They also have a nonstop flight from Nassau on Monday, Wednesday and Friday. They also offers a direct flight to Provo from Puerta Plata, Dominican Republic on Wednesday, Friday and Saturday. Bahamas Air can take you direct from Nassau to Providenciales on Tuesday, Thursday and Sunday. Welcome sign photo by Ben Ramizez. Thanks!